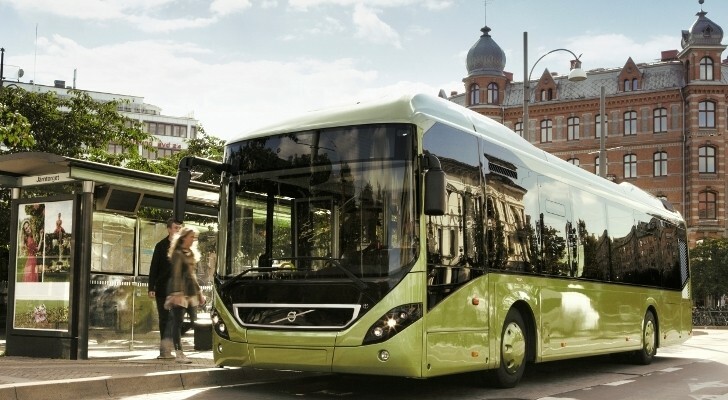 Volvo will provide 5 electric hybrid buses to AVL bus operator AVL in Luxembourg. Electric bus chargers will be supplied by ABB. Luxembourg was one of the first cities in Europe to implement buses with hybrid technology. In 2011, the first Volvo hybrids were delivered, today 14 Volvo 7900 Hybrids operate in the city. Luxembourg City and AVL now takes the next step in electrification of the public transport system with the purchase of five Volvo 7900 Electric Hybrids and ABB bus chargers to be delivered towards the end of 2016. One of the bus chargers will be placed at the central station in Luxembourg. Luxembourg is investing to become leading in sustainable mobility. The sector has been identified as one of the most promising sectors in Luxembourg’s strategy for the diversification and greening of the economy. Around 160,000 people commute to and from Luxembourg City every day. The government wants to reduce the environmental impact and the volume of traffic. The goal is to cut overall carbon dioxide emissions by at least 20 percent by 2020. · Can be powered by electricity for up to 70 % of operating time. · Quiet and exhaust-free when running on electricity. · 60 % lower energy consumption1 than a corresponding diesel bus. · 75–90 % lower emissions of carbon dioxide1 compared with a conventional diesel bus, depending on the fuel used. · The batteries are recharged at the end terminals in a few minutes. · ABB’s proven suite of connectivity features enables maximum availability, high uptime and fast service response. · Based on IEC 61851-23, the international standard for fast charging of electric vehicles ensuring the appropriate safety systems are in place, the electrical design is in accordance with regulations, and the systems architecture and working principle are supported by wider automotive community in future.